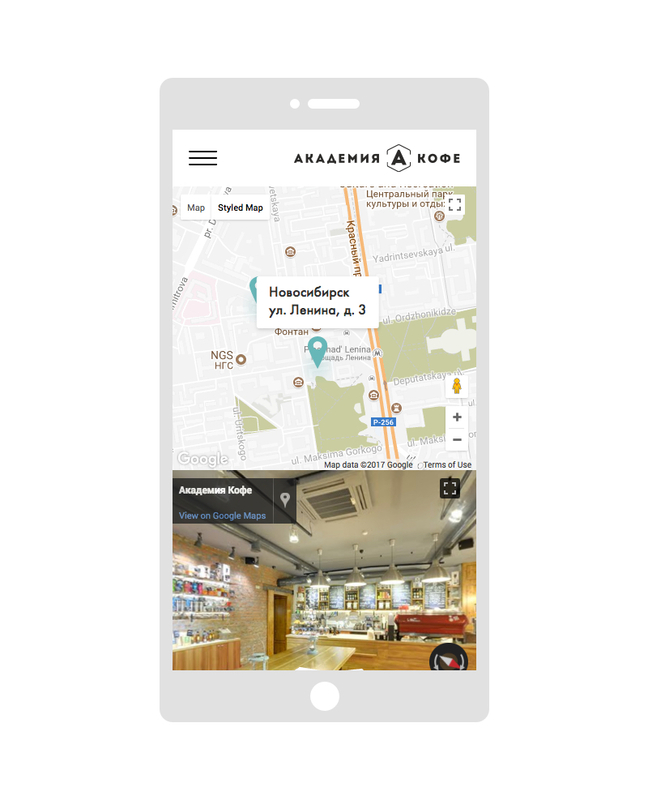 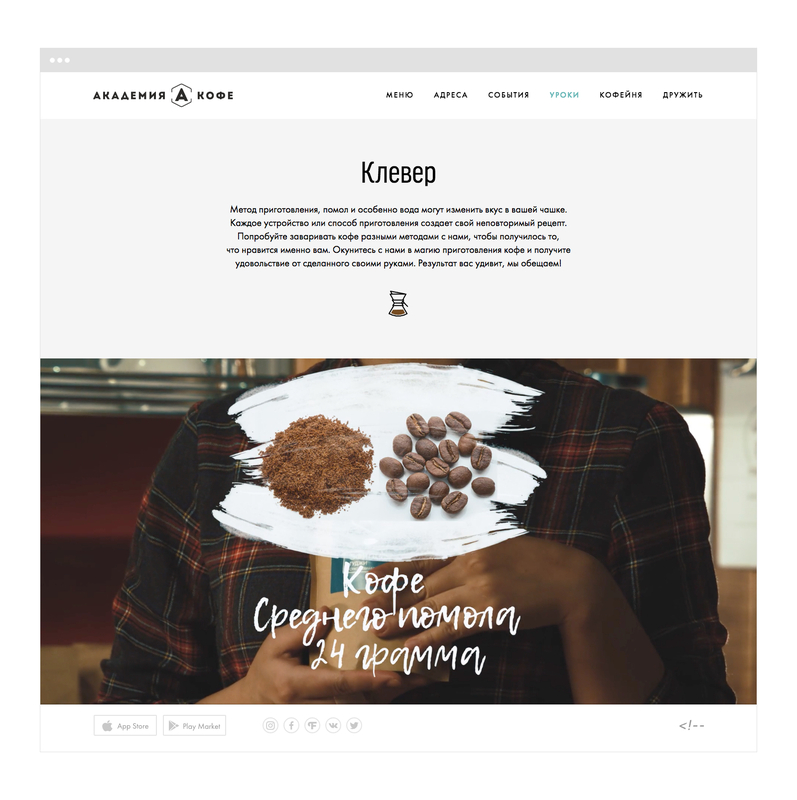 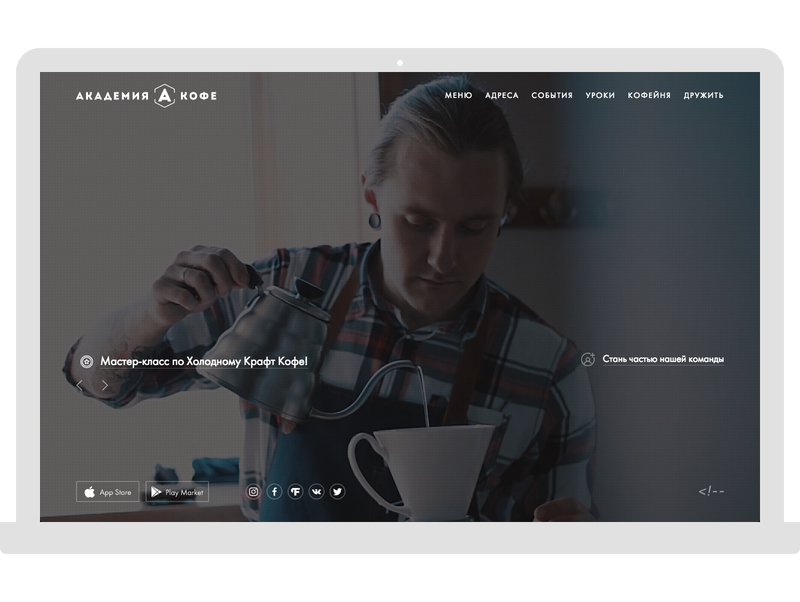 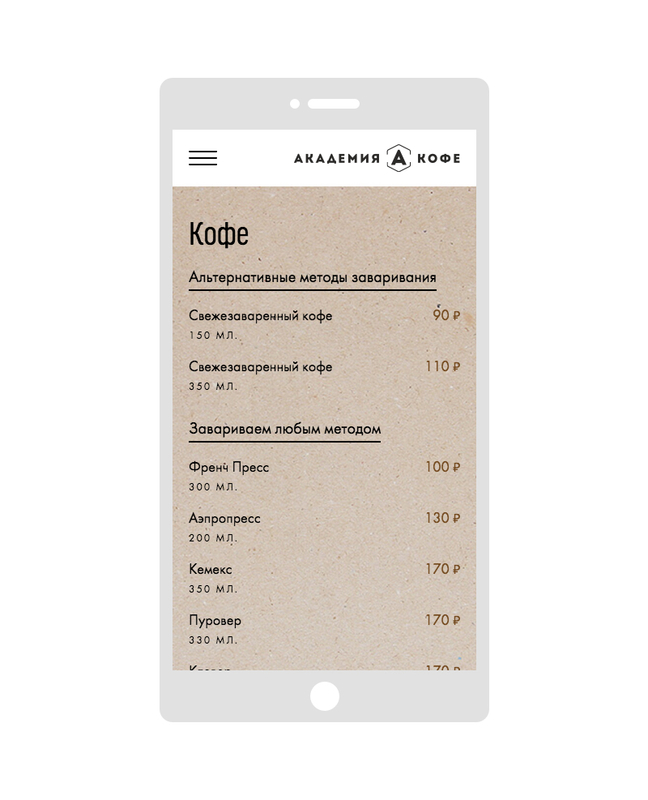 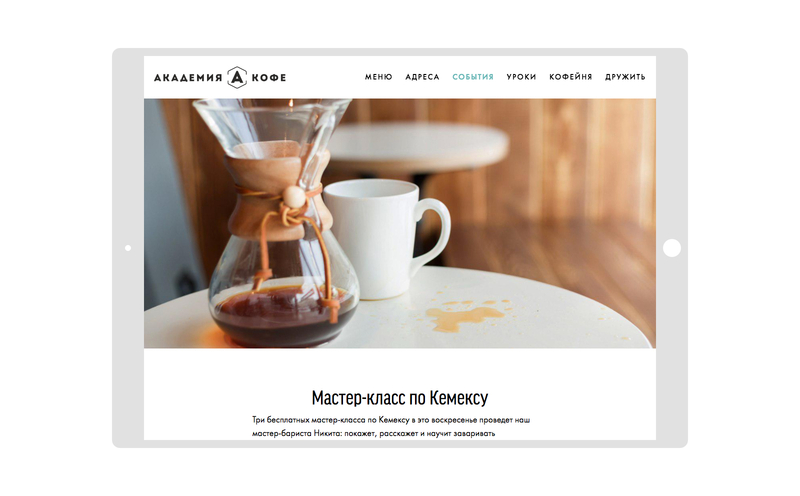 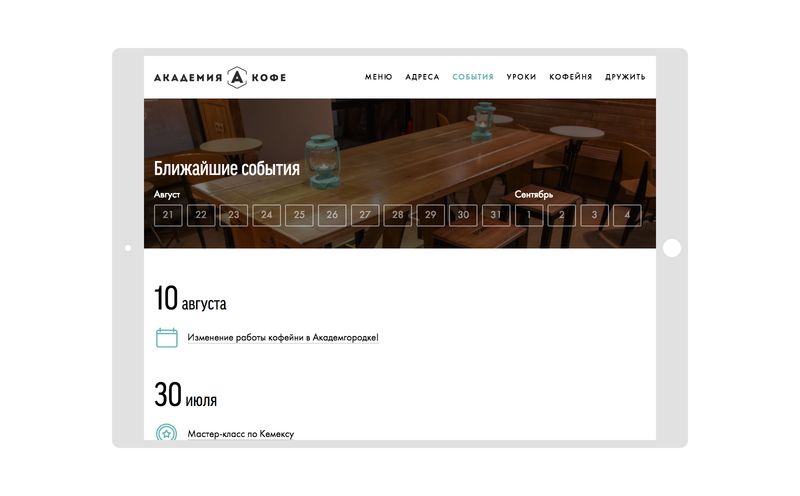 Task: make the corporate website for a large network of coffee houses in Siberia. 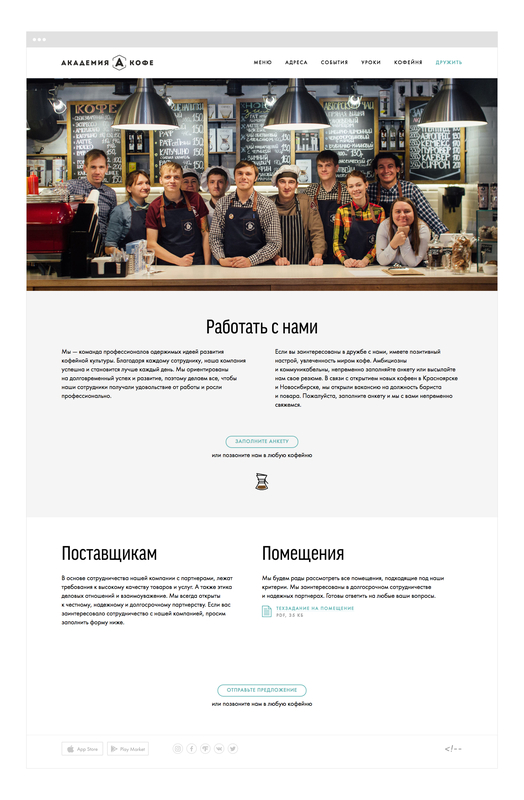 We provided a full range of services for this website including video and photos for the main and inner pages. 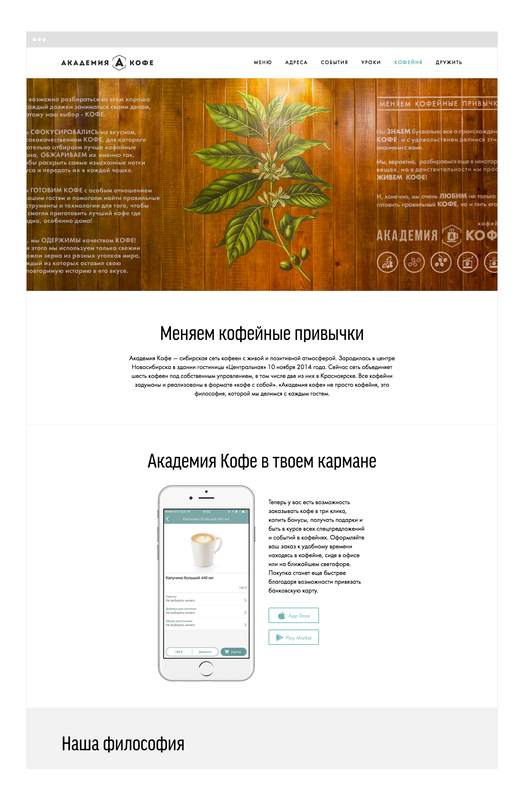 In addition, we drew a set of icons to illustrate the various events of the coffee house.